It's All About The Journey ... Choosing Kitchen Appliances – Consider the Current Cook and Potential Buyers! 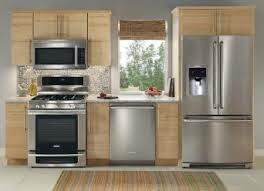 What is a kitchen without it's appliances? After all, the primary function of a kitchen is for cooking and preparing meals, (unless you're my mother who once looked at an apartment in NYC and didn't realize there wasn't a kitchen!). Functionally obsolete appliances can turn the joy of cooking into the agony of defeat, theyâ€™re also one of the first things a buyer will notice about your kitchen. A little paint can refresh tired looking wood cabinets but there's no hiding that harvest gold range! If your appliances could use an update, here are some tips on how to choose the right cooktop, fridge and more. The choice is personal, but the preferences are fierce! Gas is very popular because there is more control of the temperature settings. With gas you can turn the heat up or down immediately & with more precision, as opposed to electric units which adjust more slowly. When shopping for gas cooktops ask about BTUâ€™s which is an energy measurement and is short for british thermal units, and variable control which addresses how long you can maintain â€œsimmerâ€ without the flame going out. Burner grates made of cast iron or metal allow for better heat transfer from the burner to the pan. Choices for fuel are either natural gas or propane, so if you are not in an area with gas available, propane is the way to go. Electric is the most common option - these are flat top models which tend to be the least expensive option and what you will find in most homes. Induction heat is a flat cooktop like electric that performs like fast-heating gas stoves and is gaining popularity in todaysâ€™ kitchen. With induction cooking you lose the least amount of heat from burner to pan. Itâ€™s also a time-saver because you can bring a pan of water to boiling faster than you can on a high performing BTU gas range top. Any cooktop demands a proper ventilation system that will usher exhaust out of the kitchen. Recirculating fans may take out some of the cooking steam, but they donâ€™t move out any heat. Exterior blowers and inline blowers provide high-performance ventilation. Noise levels can vary, if you hear the sound of suction (and not the motor running) this is a good thing. No one wants to turn on the range hood and think a Cessna is about to land in their kitchen. Conventional ovens can be gas or electric (there are even dual energy range options where you have a gas cooktop and an electric oven). 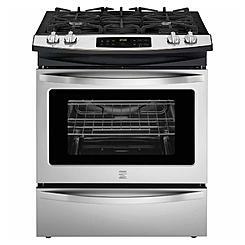 Styles vary from an all-in-one cooktop/oven range to wall mounted double or single oven units. Interior size is an important factor when shopping - you should make sure the Thanksgiving turkey is going to fit! Convection ovens are often an option within a conventional oven (or sometimes microwave-we'll get to that later). They circulate heat with a fan to cook food faster and more evenly and will help you get dinner on the table faster than a traditional oven. The downside is you donâ€™t get the standard bake/roast/broil settings. Freestanding models slide into a space and generally protrude 6 to 7 inches beyond counter depth (a 24 inch depth is standard). Counter-depth units will look more like built-in units but be careful not to sacrifice form for function. Check out the interior cubic feet of storage for each unit. 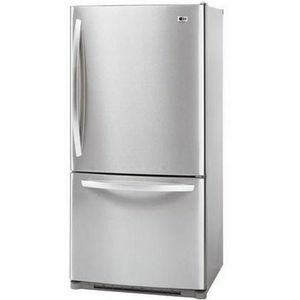 As for configuration, French-door refrigerators (on top) with freezer drawer (on bottom) are very popular. They allow you to store pizza boxes, sheet cakes, deli trays, etc. that are difficult to fit into a side by side refrigerator. You can also choose the traditional freezer on the top/refrigerator on the bottom or a side-by-side option. Another consideration is if you want a water/ice in the door dispenser. If you are focused on water purification, there are units that will accomplish this. Otherwise the systems simply pass water through a copper pipe in the unit and out your refrigerator door. Microwaves can consume a lot of counter space. 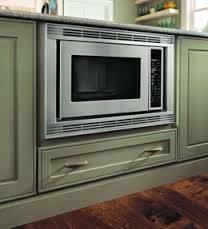 Microwaves built into the cabinetry are becoming very popular as well as microwave drawers which nestle among base cabinets and are very handy. Built-in microwaves over the range can also act as a venting mechanism. As mentioned above, there are many models that also have a convection oven cooking feature. Traditional dishwashers with doors that pull from the top down are the most popular style and they can be paneled to blend with the cabinetry for a seamless look. Drawer dishwashers are another trend on the rise because they are easier to load and can be installed at various heights, based on your needs. Because they can handle smaller loads, they are also more efficient. 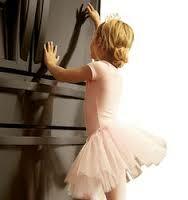 This is another appliance where noise levels can vary. If you want to have a conversation while the dishwasher is running, make sure to check out the decibel level on the spec sheet to see how quietly it will operate. Now that youâ€™ve considered your appliances, think about finish. Stainless steel is still the most popular but now comes in more varieties than the traditional polished finish. Black stainless has a more muted tone and smudge free has a more brushed appearance. 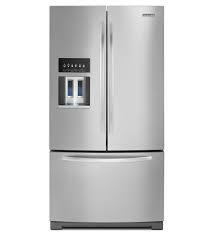 Both eliminate the common â€œfinger printsâ€ complaint when considering stainless steel appliances. Whatever look you prefer, stainless is still the most requested finish among buyers. Last but certainly not least, consider energy ratings when purchasing appliances. The higher the rating the more you will save on your electric bill and energy consumption. A factor any home owner will appreciate! This is some great information, and I appreciate your point that convection ovens cook things faster and more evenly. My husband and I are going to be renovating our kitchen, so I'm trying to choose new appliances so we can plan around their sizes. I would love to have a convection oven for faster cooking, so I'll definitely look into that. Thanks for the great post! I appreciate you going through the different cooktops. I personally think that it is a toss up between gas and induction heated units.They both heat up and cool fast. If anything induction cooktops would have an edge because they would be easier to use for simmering. However, gas does tend to be a little cheaper to use. In the end it all comes down to personal preference and the availability of gas. Probably more than any other element, cabinetry sets the tone for the look and feel of your kitchen. There are so many choices to make, from materials and finishes to styles and hardware, it can all be a little overwhelming. In this blog weâ€™re focusing on one of the first steps in kitchen remodeling - deciding what kind of cabinets you want to install. Making the right choices will help the room feel welcoming, efficient and easy to use. According to the National Kitchen and Bath Association, nearly half of the average kitchen remodeling budget goes toward cabinets. There are three basic categories to choose from: stock, semi-custom and custom. The categories are not necessarily an indication of quality; fine cabinetry can be had in all three. Stock cabinets come in many styles. They can be ordered through retailers, home improvement centers, or from manufacturerâ€™s catalogs. The cost is between $60 and $200 per linear foot. These are usually the most economical choice because they are readily available. Unfortunately, because they are already built, they donâ€™t come in special sizes. 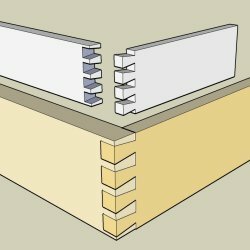 Filler strips can be used to close gaps between walls or appliances, but thatâ€™s pretty much the extent for customization. These cabinets are basically stock cabinets with extra detailing options. Basic cabinet sizes still apply, but you can change certain dimensions. Storage units and accessories such as pullout bins and lazy Susans can be integrated into the design. There is also a broader selection of finishes and cabinet depths that will give a more custom look to your kitchen. Semi-custom cabinets usually run between $100 and $650 per linear foot. The disadvantages are their higher price tag and they may take a month or longer to be delivered. These units are usually built by a local cabinetmaker and are highly personalized. You can choose any material, size, shape, or configuration that fits into your design and whatever finish you prefer. Custom cabinets usually cost $500 to $1,200 per linear foot. The obvious advantage is that your kitchen will look and function exactly the way you want. 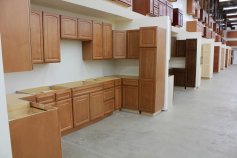 If you have an oddly shaped kitchen, or a curved wall, it can be perfectly fitted with custom cabinets. You can also accommodate specialized storage needs. Far and away, the biggest downside of creating custom cabinets is their expense. For those who like quick results, donâ€™t expect to unveil your dream kitchen any time soon; true custom cabinets take at least 10 weeks â€“ and often longer than that â€“ to complete. 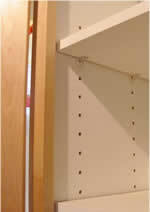 Solid-wood face frames with doweled-and-glued joints, unless the cabinet is frameless. 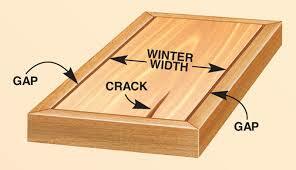 Solid-wood or plywood drawer sides at least Â½â€ thick, with doweled or dovetailed joints. 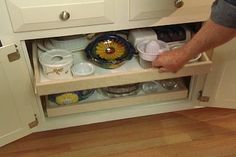 Self-closing drawer and tray glides able to bear at least 75-100 pounds each. Ball bearings are best. (Full-extension glides increase storage space). Congratulations! Youâ€™ve graduated from Kitchen Cabinets 101! Hopefully this guide will help get your project started and make the process of creating your dream kitchen a little less overwhelming. The kitchen is known as the heart of the home - and for good reason! Itâ€™s the central hub for daily life and a natural gathering space at any time of year. An up-to-date kitchen is always a major selling point for any home. If your kitchen has seen better days, but youâ€™re not up for the task or expense of major construction, there is an alternative. A minor kitchen remodel actually offers a better return on investment than a major redesign, and can be done in stages. If you have a dated kitchen, a buyer might think theyâ€™re going to have to spend $40 - $50,000 to upgrade the kitchen, but the average cost of a minor kitchen remodel â€“ new cabinet doors, appliances, countertops, sink, faucet, paint and hardware â€“ was around $21,000 in New England, specifically the New Haven area, according to the Cost vs. Value report, (of course the Gold Coast of CT will probably be a little higher). Savvy shoppers can do it for less than the buyer assumes. To make sure youâ€™re making the right improvements, letâ€™s take a look at the top kitchen trends for 2016. Soft Muted Color Palettes - though white motifs still dominate, everything from cabinets to backsplashes will be done in less saturated tones. According to designer Jane Lockhart â€œCharcoal, grays and even neutral pastels like pale blue, pale green gray and tinted whites are the new alternative to the standard white.â€ Lighter wood tones will also be popular, including walnut, and white washed woods. Smart Spaces - Lockhart predicts more kitchens will have designated spots with accessible charging stations for smart devices like phones and tablets. Smart appliances such as built in coffee machines, steam ovens and wine coolers will also be popular for a generation of people on the go. Metal Finishes - brass accessories will make a comeback but in satin rather than shiny finishes. All Metal will assume a more dominant role in kitchen aesthetics from faucets, pendant lights and cabinet pulls and will be the range hood of choice. If you have a muted color palette, metal accents introduce a burst of contrast into your kitchen. Quartz is Number One - according to the National Kitchen and Bath Association, manufactured quartz is now the leading countertop material, surpassing granite and marble. Quartz is virtually maintenance free, naturally stain repellent and impervious to acidic foods. White quartz counter tops and neutral colors will continue for 2016. Appliances - stainless is still the number one choice for appliances - Black stainless appliances which are more muted, as well as smudge free stainless are becoming more popular echoing the less maintenance trend. Traditional Yet Simple Design - traditional kitchens may experience a slightly cleaner feel with bold lines and less fussy details. The focus will be an emphasis on key elements like hoods, islands, cabinet crown molding to name a few. Lighting - ceiling lights and table lamps wonâ€™t be enough to illuminate the kitchen. Designers point to extensive cabinet lighting as a trend to watch. Low-voltage light tape strips used as accent pieces below cabinets and below countertop overhangs will be the norm. These features will be grouped with recessed can lights to offer better mood-setting capabilities. Simplicity, Convenience and Color- what everyone is looking for and slated to give you the best return on your investment!